When it comes to training, progressive overload with a major focus on squeezing and stretching the muscle on each rep is paramount. We will cover this in another video. But when clients initially come to me for advice on how to put on size or how to lean up there is one fundamental principle that you absolutely MUST take into consideration. HOW MUCH ARE YOU EATING OVERALL? The first thing to note is that for you to lose fat or gain muscle you must be either in a calorie deficit or a calorie surplus most of the time. Let’s say we are training at a good level and putting really good effort into training and improving week on week and we have good muscle contractions. Let’s also say we are eating pretty healthy too. I’m not talking about 100% perfect healthy eating or anything but let’s say the majority of the foods we eat are coming from food sources that have good nutrient density. Let’s also say we’re making sure we recover from our training and daily activity adequately enough proper sleep, rest, and fuel. Same for fat loss if you’re 10-20% deficit throughout the week you could see 1-3lbs weight loss for the same training program. With that being said if you massively overeat, even on healthy food, you could see a weight gain from fat too. So when it comes to us helping you get lean over the course of 12weeks or have a focus on gaining size, then it’s primarily a case of achieving the optimal calorie increase or deficit over that period. The more we need to lose or gain the more severe we may need to be with the deficit or increase. We aren’t afraid of achieving something truly unbelievable in a short time. But what we place a lot of focus in with clients is what happens once you’ve achieved the goal. There’s no point just getting in amazing shape and then losing it all because you weren’t educated on how to get your body back to a maintenance level and back to balance without at least being able to keep those precious results. 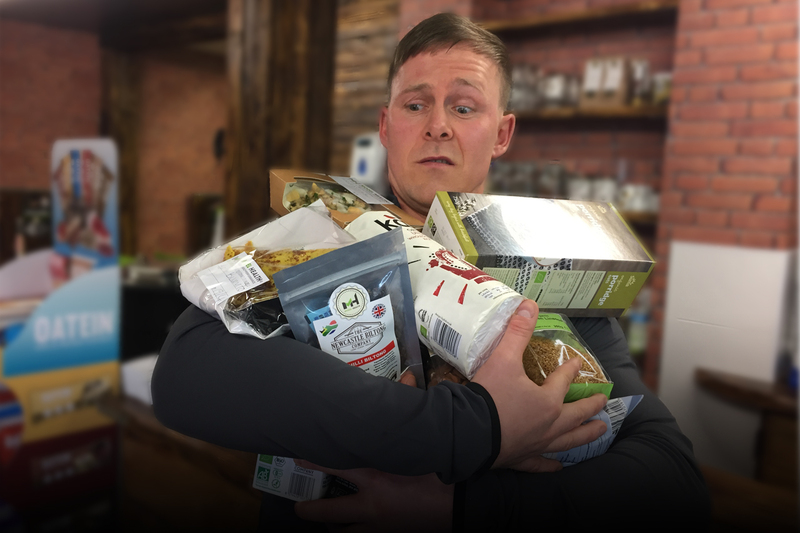 So just remember that for whether muscle gain or fat loss is your goal, you firstly need to look at overall calorie consumption, you then have to consider your protein, carb, and fat amounts, the quality of food, then make sure you’re consistent with this as well as the training you do.